Hyundai Motor Manufacturing Alabama produces the one millionth Sonata. Hyundai achieved another great milestone by reaching the one millionth Sonata coming straight off the Alabama production plant.The Sonata has not just been wowing critics but also winning over buyers with its continued success. Hyundai Motor Manufacturing Alabama plant also celebrated the milestone with a small ceremony held last week and a 2012 limited edition Sonata turbo with a radiant silver paint commemorating the milestone achievement. 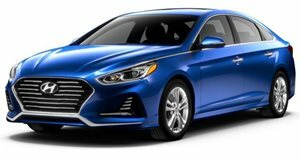 Sonata has increased in popularity with the latest redesign and has helped Hyundai exceed the 300,000 unit capacity at the Alabama plant for the last two years. Hyundai has been building the Sonata in Alabama since 2005. In addition to the Sonata, the Alabama plant has also produced the Santa Fe and Elantra. Over 2,500 dedicated Team Members helped contribute to the milestone Sonata. Hyundai Motor Manufacturing Alabama has built over 1.4 million vehicles.